Per his military service record (regimental no. 4780), Walter James Goodlet was born at Sofala, N.S.W. He gave his age as 21 years, his marital status as single, and his occupation as miner. His description on his medical was height 5feet 9 inches tall, weight 123 lbs., with a medium complexion, grey eyes, and brown hair. His religious denomination was Presbyterian. He claimed that he had 6 months previous military service with the 41st Infantry (Militia). He was one of three men who stepped forward at the recruiting meeting in Yetholme around a bonfire in the school ground, and ‘arranged to join the “Coo-ees” at Lithgow’. He caught the train to Lithgow where he joined the Coo-ees. He completed his medical on the 2nd November 1915 at Lithgow, and was attested by Captain Eade at Lithgow on 2nd November 1915. On his embarkation roll his address at time of enrolment was Glanmire, via Bathurst, N.S.W., and his next of kin is listed as his father, J. Goodlet, Glanmire, via Bathurst, N.S.W. He was given a send off at Glanmire shortly before leaving Australia, where there was dancing, and he was presented with a wristlet watch, a pocket wallet, a £1 note from friends, ten shillings from the Walang school children, and two pairs of socks. The Bathurst Times reported that he ‘briefly thanked those present for their handsome presents, and hoped that some day he would have the pleasure of meeting them all again’. On 8th March 1916 Private Goodlet departed Sydney on the HMAT A15 Star of England, along with many of the other Coo-ees, arriving in Egypt on 11th April 1916. On 27th May 1916 he was transferred to the 4th Pioneer Battalion at Tel El Kebir, Egypt. On 4th June 1916 Private Goodlet left Alexandria aboard the Scotian bound for France, arriving at Marseilles on 11th of June 1916. 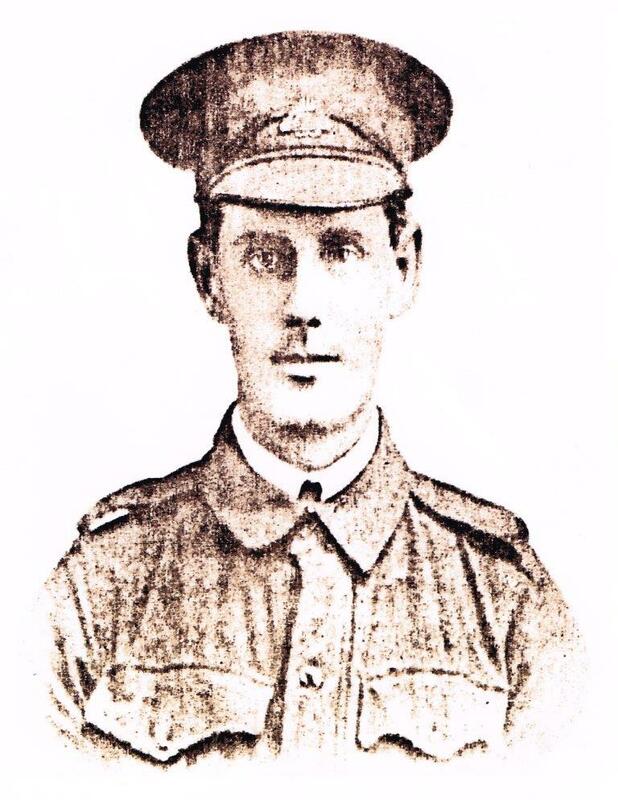 Two months later, on 3rd August 1916, the 4th Pioneer Battalion was constructing communication trenches in Becourt Wood, France, when Private Goodlet was wounded in action, being struck by a the blast of a high explosive shell that shattered his the left arm. He was evacuated to the 4th Field Ambulance. On 6th August 1916 he was moved to the 1st General Hospital at Rouen, France. On 28th August 1916 he was transferred to England by the Hospital Ship Mahons, where he was admitted to the 3rd London General Hospital at Wandsworth, and his arm was amputated. 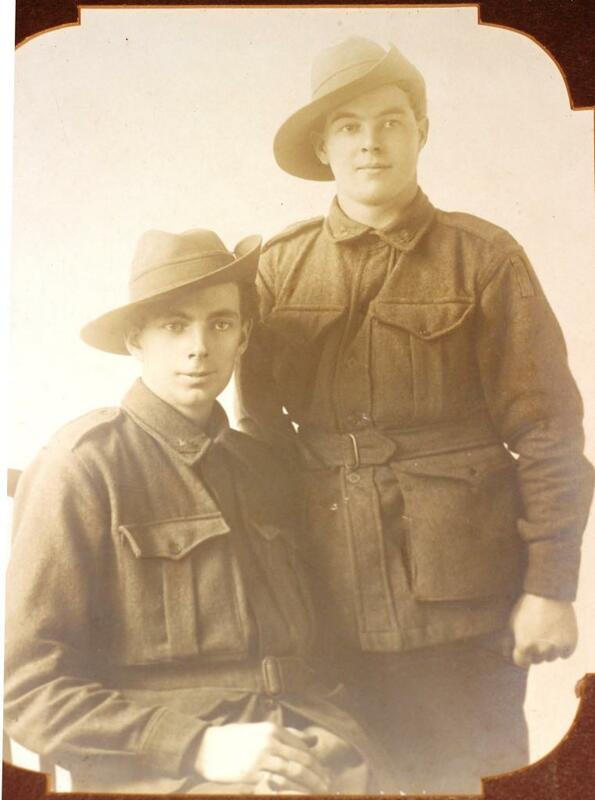 On 24th November 1916 Private Goodlet was transferred to the 2nd Australian Auxiliary Hospital at Southall, England. On 21st December 1916 Private Goodlet was granted leave. He reported back on 5th April 1917. On 4th May 1917 Private Goodlet departed England bound for Australia aboard the Transport Themistocles (along with fellow Coo-ee Private James Dawson, who had also lost an arm). H.T. 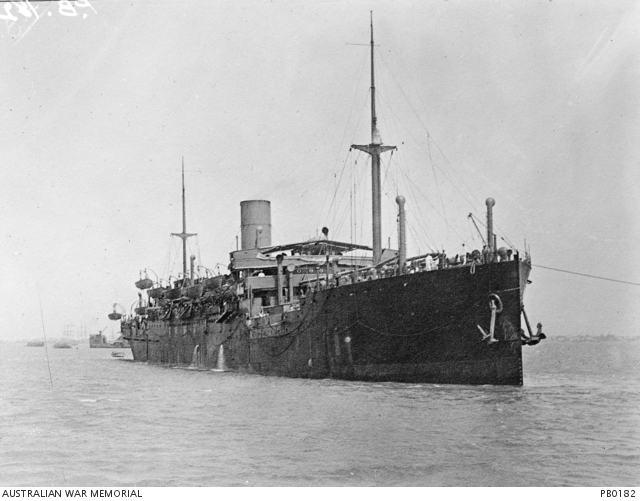 Thermistocles arrived at Sydney on 5th July 1917. He was discharged medically unfit, with a disability of an amputated left arm, on 4th January 1918.